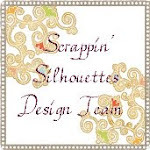 Oh my goodness I totally forgot about the blog hop as I had totally missed the email from Margie! I am so sorry to the rest of the team and anyone trying to blog hop around. I spent a lot of time with my extended family as we were visiting my dad in hospital a lot over the holidays (in fact we are heading back to see him and everyone else again today). It was great to see so much of my sister as we don't always get together as often as we would like to. As you can see she is the beauty in the family and we are totally different as she has blonde hair and blue eyes whereas I have dark brown hair and hazel eyes. What a lovely photo of you and your sis! My sister and I have different hair and eye color too. :o) And I second what Alexa said! A lovely photo of you and your sister - my brother lives the other end of the country from me so haven't seen him for 10 years! !